Welcome to Splitboard Oregon! This site is dedicated to backcountry splitboarding adventures in Oregon and beyond, and documents some of my adventures into the Oregon backcountry over the past several years. It also contains links to my pursuit of snowboarding year-round, something possible for those of us who are blessed enough to live in the Pacific Northwest with the heavy maritime snowfalls and glaciers on the volcanic peaks. There are also links to various ski patrol adventures, as well as other general links about splitboarding. 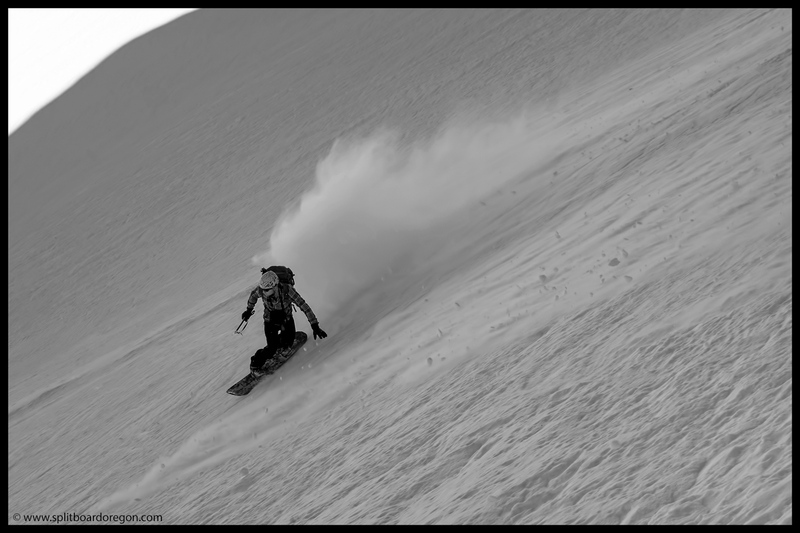 Above: Enjoying some crisp smoky turns at the end of January in the Oregon cascades. Photo taken January 29, 2019 by Dan Nicholson.